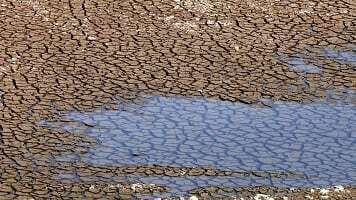 Ashok Gulati, an agricultural economist and former adviser to New Delhi, believes that Marathwada, Madhya Pradesh, Maharashtra, north-interior Karnataka along with parts of Gujarat, Madhya Pradesh and Telangana have faced a rain deficit of 30-50 percent. As of Wednesday, monsoons were 14 percent below the long-term average estimate, says Ashok Gulati, Chair Professor-Agriculture, ICRIER. "This is the fourth event of a back-to-back drought in 150 years," he adds. Sub-par rains have not only impacted production of crops like oilseeds, pulses, cotton and sugarcane, but have also led to a 20 percent decline in tractor demand and badly hurt rural wages and FMCG sector, he tells CNBC-TV18. Gulati believes that Marathwada, Madhya Pradesh, Maharashtra, north-interior Karnataka along with parts of Gujarat, Madhya Pradesh and Telangana have witnessed rain deficit of 30-50 percent. Below is the transcript of Ashok Gulati's interview with Reema Tendulkar and Nigel D'Souza on CNBC-TV18. Nigel: First things first, how crucial are the September rains for agricultural output? A: September rains of the total in the monsoon season is a little less than 20 percent or around 20 percent you can say. So, the August and July were the main ones which is roughly 60 percent. So, you have 20 in June and 20 in September and in between is the 60. Now so far till yesterday it was minus 14 percent from the long period average. Now given that I was looking at since 1900 onwards this is the fourth event which can be a back to back drought in the last 115 years and if that is so if you look at what is happening in certain regions, particularly Marathwada they are already reeling under a severe drought. Reema: Back to back drought likely for the fourth time in the last 115 years. Can you assess the impact of this lower rainfall on rural demand in general, will it take a huge hit? A: Of course, already your tractor demand is coming down by 20 percent so on and so forth. Your rural wages will take a hit, your FMCG sector where the demand was coming from rural areas earlier, that will take a hit. This is the third season which will be going down. Nigel: Let us talk about crops. Which are the crops that get affected the most? A: This is a region which grows oilseeds, pulses, even cotton and of course Maharashtra has also sugarcane. So, those are the things. There are four elements to this thing. I am worried about first the drinking water issue because without drinking water even the lives of people and the animals is at stake. So, from that point of view Marathwada and madhya Maharashtra and parts of Karnataka are in serious trouble. So, that is the first sort of red signal that is coming and the government has to wake up to make sure that the people and the animals get reasonable water for drinking. Second is how to rescue the crops if possible because if they haven't had rains even when the planting was good, we are still saying, the area planted is more than last year because June rains were very good, in fact better than what was expected by anybody. Therefore the plantings took place, but people are not talking what happened after that. So, if for a month if the plant doesn't get water it simply wails away. So that information from states has to come to the centre that how much area in each state is impacted where the planting was done but you are not expecting any major output or major decline in output what is going to happen. That information so far I am not told has come. Reema: So, which are the regions which would be most affected? A: Region wise if you look at it is the Marathwada, madhya Maharashtra, north interior Karnataka, parts of Gujarat and even parts of Madhya Pradesh, Telangana also. These are the area where the deficit is anywhere from 30-50 percent, most of them.